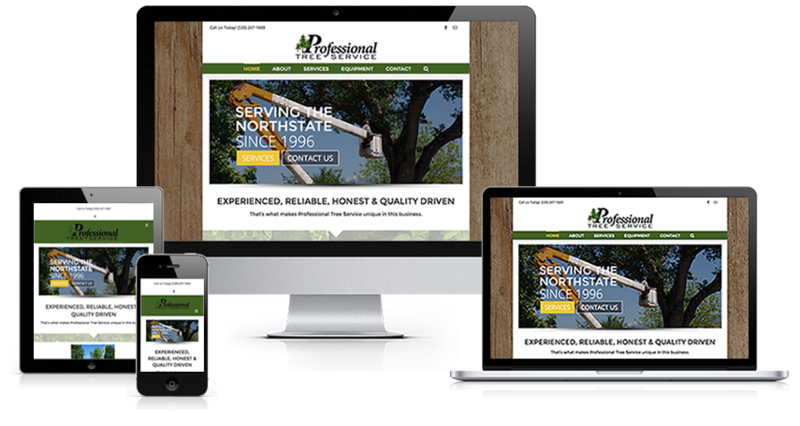 Professional Tree Service is a great company out of Redding, California that had outgrown their old website. It was built so long ago that it wasn’t optimized for mobile and had no content management system (CMS) to allow them to easily make site updates. We set them up with a custom design, built them a WordPress CMS and launched them out into the World Wide Web with a new responsive website that will positively impact their search engine ranking and allow more consumers to find them.